The shared mobility economy is on the rise. Zipcar founder Robin Chase sat down with TheCityFix to discuss how current trends and innovations are transforming transportation. Photo by Hugger Industries/Flickr. 2015 is a year of utmost importance for the global sustainable development agenda, and cities will play a pivotal role. Landmark global decisions over the next 12 months provide opportunities to unlock the potential of cities and improve quality of life for billions worldwide. TheCityFix sat down (for the second time!) 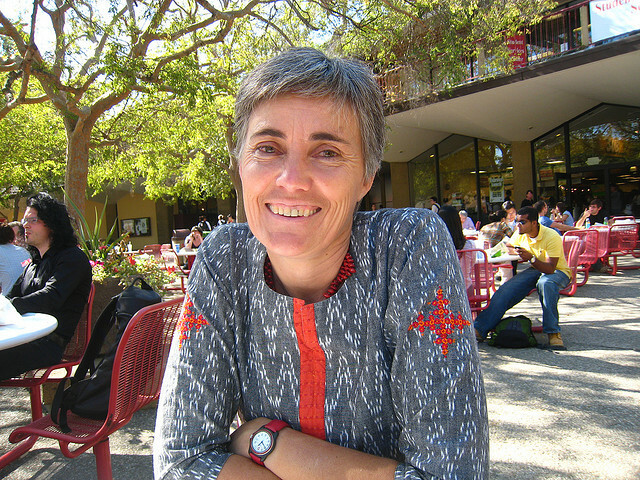 with Robin Chase, shared mobility entrepreneur and speaker at the upcoming Transforming Transportation 2015 conference on how cities can advance urban mobility solutions that are both environmentally sustainable and people-centered. As founder of Zipcar, Buzzcar, and GoLoco, Robin Chase has a unique perspective on the role of urban mobility in a ‘smart’ city. Photo by Amit Gupta/Flickr. 1. How have you seen the companies you founded – like ZipCar, for instance – transform mobility in the cities you’ve worked in? Zipcar has transformed not only the cities the company works in, but also the expectation and aspiration in most major metropolitan areas. Each Zipcar removes 15 personal vehicles off of city streets and out of city parking spaces. In fact, each personal car requires three parking spaces (work, home, and retail), so you might also say that each Zipcar removes the need for 45 parking spaces. In addition, Zipcar members drive 60-80% less than people who own their own cars. Zipcar has proven that car-sharing can be as convenient and easy as owning your own car. So almost one million people have chosen to use Zipcar as of part of their multi-modal transport in cities across North America, in the United Kingdom, and several other European cities. Parking requirements for building developments in cities around the world have also changed as a result of the real concrete shift around car ownership that Zipcar spearheaded. 2. What makes a city-level issue like urban mobility so important to the fight against global climate change? Worldwide, transportation contributes to 23% of the world’s emissions and one single item – personal cars – makes up 60-70% of those emissions. We also know that more than 50% of the world’s residents choose to live in cities, and this is increasing every day. Cities are dramatically more energy efficient to live in than rural areas. We need to make living in those cities both economically and personally rewarding and continue to encourage the shift to this more efficient lifestyle. Providing easy, sustainable, low-cost access to jobs, education, retail, and leisure activities is critical. 3. 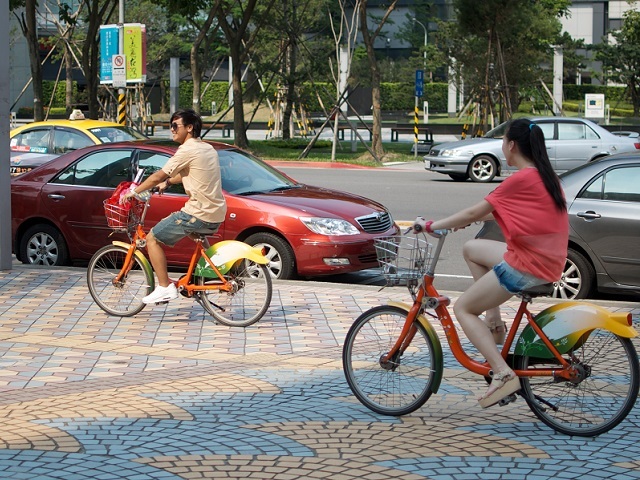 What recent advances and innovations in urban mobility excite you the most right now? I’m most excited about two revolutions underway, both having to do with the rise of shared and distributed systems. There is the rise of collaboratively built, collaboratively financed, and collaboratively consumed infrastructure and services. Think of Zipcar, Lyft, or Uber. All are made possible by individuals contributing their assets (their car) to meet other individuals’ demand for mobility. All forms of car-sharing, bike-sharing, and taxi-sharing are part of this transformation in how we create companies and how we use assets. We are also seeing vehicles of all kinds start to become connected to the Internet, again transforming what is possible in terms of monitoring eco-driving, facilitating congestion and road pricing, ride-sharing – all kinds of real-time feedback loops that encourage us all to be more efficient as we move around. 4. The theme of Transforming Transportation 2015 is Smart Cities for Shared Prosperity. For you, what does a city have to do to be considered ‘smart’? Smart is making sure that a city’s people and its assets are connected to each other and accessible; it is the only way we can be both efficient and provide access to all. We also need to make sure that data, processes, devices, and spectrum are as open as possible so that entrepreneurs can innovate, companies and government can coordinate, and we all transition as quickly as we can to a new sustainable world economy. For instance, data.gov is an example of the United States government’s effort to put as much public data as possible into formats that are accessible and useful for anyone. Wi-Fi, which most of us use every day, is a free and open piece of spectrum onto which an enormous amount of innovation has happened precisely because it is free and open. In contrast to pieces of the spectrum that have been sold to private companies like Verizon, AT&T or Sprint, onto which we see little innovation. Our cell phones are also open devices in that we can add any number of applications beyond the ones created by the company that built the phone, for use on those phones. This openness is why we’ve seen the creation of over two million apps in less than five years. 5. If you could ask participants at Transforming Transportation 2015 to do one thing to build better cities, what would it be? Wherever possible, remove the silos between transportation, land use, building developments, housing, and energy. We need to work hand-in-glove and stop having one part of our world work at odds with the other. Learn more about the innovations driving sustainable urban mobility forward and catch Robin Chase at Transforming Transportation 2015: Smart Cities for Shared Prosperity (#TTDC15).